Matteo Salvini is one of the most controversial up-and-coming figures on the European political scene. Since 2013 he has been the leader of Italian Lega – formerly a secessionist party which he himself transformed into the champion of the new nationalist right, a pendulum between Putin and Trump. In 2018 he became both the Vice-Prime Minister and the Minister of the Interior in a coalition government with the populist Five Star Movement. 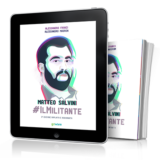 Accused of racism, Salvini has built his success on the social disorientation created by globalization and on the fear of immigration, using an aggressive and irreverent media campaign. But it’s also thanks to his political ability, developed during his long militancy in the party, which began when he was 17 years old, that he was able to recognize before others the new spirit of the times. According to most people, after the election in 2018, Salvini had in reality become the leader of Italian politics, with the goal of heading the nationalist front in Brussels after the European elections in May of 2019, and then, the next Italian government. 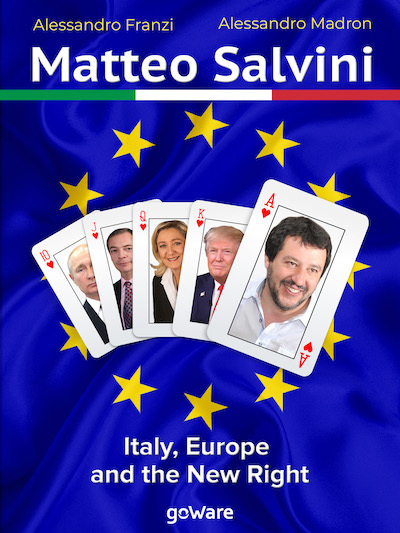 This book is a map that seeks to answer one simple question: who is Matteo Salvini, really? Alessandro Franzi is a journalist. He has written about politics for the agency Ansa in Milan and currently works in the Rai newsroom in Trento. Since 2004 he has focused his attention on the Lega Nord and the eurosceptic movements. Born in 1981 in Varese, where he began writing for the newspaper “Il Giorno”, he has a degree in History. He has published several articles on the LSE blog “Euro Crisis in the Press”. On Twitter he is @ilbrontolo. Alessandro Madron is a journalist and videographer. Born in 1978 in Castiglione Olona (Varese), he spent 10 years working as a reporter for local newspapers in his province, the cradle of the Lega. Since 2011 he has been on the staff of “Il Fatto Quotidiano”, where he has written about the transformation of the Lega. 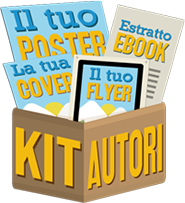 In 2012, Editori Internazionali Riuniti published his books: Maroni, una vita da mediano and Roberto Maroni. Barbaro o sognatore? I segreti dell’ascesa di un leader. You can find him on Twitter @alemadron.